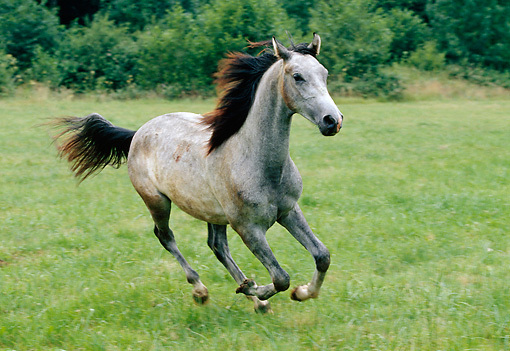 The Shagya Arabian horse is a unique Arabian equine breed that had originated in the 19th in the Austro-Hungarian Empire. 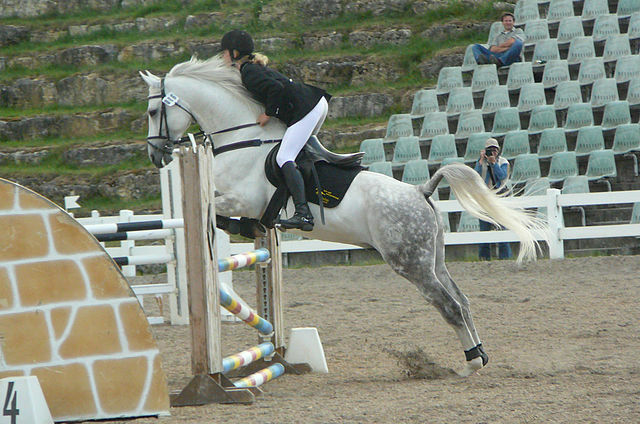 It seems to combine brilliantly the positive traits of the Bedouin Arabian (elegance, toughness, hardiness, endurance and friendliness) also fulfilling the requirements of a modern horse (agility, jumping skills, easy rideability and jumping skills), which therefore makes it unique. 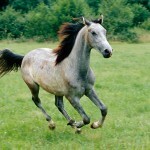 This particular variety of Arabian equine breed is yet to gain worldwide popularity owing to its rarity. 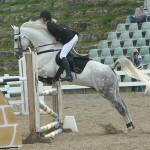 Common Use Has been recognized as a riding horse, even used for harness. 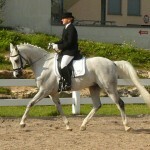 It has gained popularity as a sports horse at present used for endurance riding, dressage, eventing, and jumping. Health Healthy with no breed specific issues, though regular veterinary checkups are needed to keep it physically fit. The development of this breed dates back to 150 to 200 years during the time of the Austro-Hungary Empire, created in the military stud farms located in the regions of Babolna (Hungary), Piber (Austria), Radautz (Romania), Mezohegyes (Hungary), and Topolcianky (Slovakia). 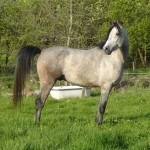 Although this particular horse breed is considered by some as the subtype of the Arabian horse, it is even regarded to be a part bred Arabian or Anglo-Arabian as it is said to possess the genes of non-Arabian horses. 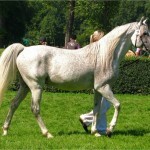 The main purpose of developing the Shagya Arabian, was the requirement for obtaining a horse possessing the intelligence, characteristic features and endurance of the Arabian breed but would be of a larger size with a greater carrying capacity as demanded by the Imperial Hussars (Hungarian light horsemen). 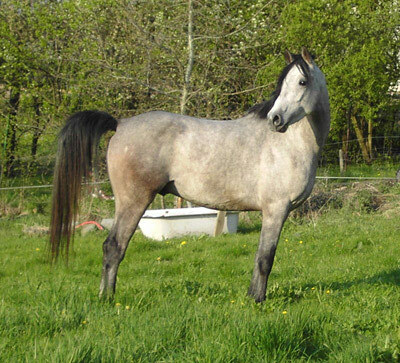 This breed has attained its name after Shagya, a gray Arabian horse that was born in Syria in the year 1810 and imported to Babolna in 1836, which was considered to have a profound influence on the creation of these horses. According to records, this founding stallion (Shagya) was remarkably strong and tall having a height of about 16 hands (162.5 cm; 6 inches) at withers. It was bred by a particular tribe of the Bedouins by the name of Bani Saher, who sold it to the Habsburg monarchy agents. The Shagya entered the Babolna stud in 1836 being used for crossbreeding programs, also responsible for producing a few thoroughbred (asil) Arabian mares, thus having no pure Arabian descendants in the present time. 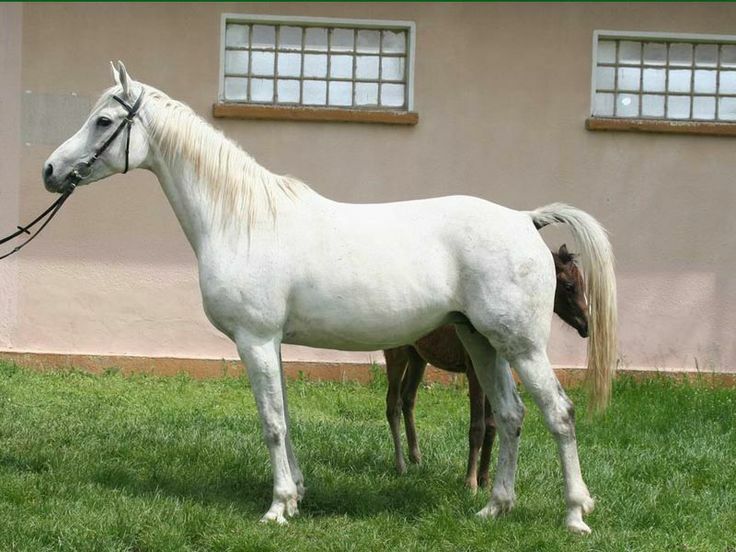 Other founding stallions responsible for the formation of the Shagya Arabian horses include the purebred Arabians namely Gazlan-gazal, Mersuch, Siglavy, Dahoman, Siglavy-Bagdady, Koheilan, and the Black O’ Bajan. 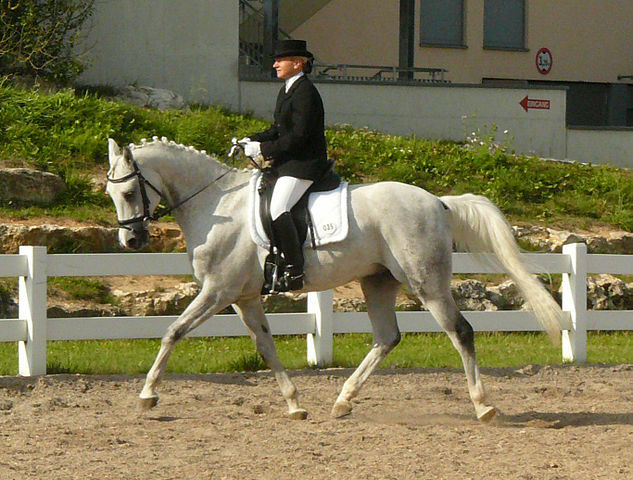 The stallions Kemir and Amurath that came from the Weil stud farm in Wurttemberg also played a part in the breeding process. Other horses used included Kuhaylan Zaid, as well as the Egyptian stallions Farag and Ibn Gaial. 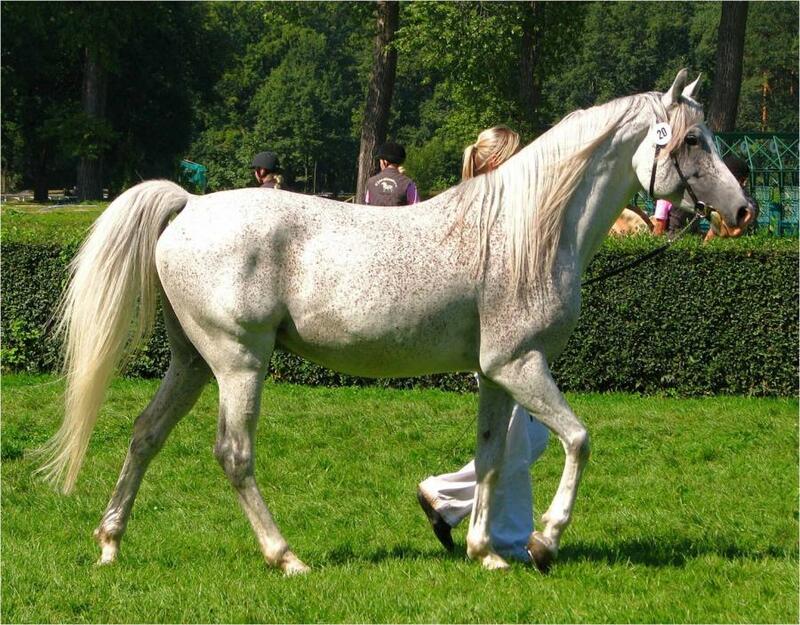 Apart from these Arabian breeds, the Lippizaners , and the English thoroughbreds were also a part of the breeding procedure to bring about an improvement in the size, movement and riding qualities. Though these horses were categorized as Arabian horses initially, it officially attained the name “Shagya” in the year 1978 with the WAHO (World Arabian Horse Association) recognizing it as a distinct breed. 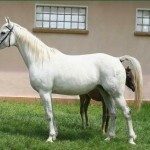 The WAHO further mentioned that those bred purely among themselves following the standards of the Topolcianky and Babolna studs can be categorized as “purebred Shagya Arabians”., though this term should not be confused with the “purebred Arabian”. The organization of the Shagya breeders is under the patronage of WAHO as associate members also being permitted to use their emblem. 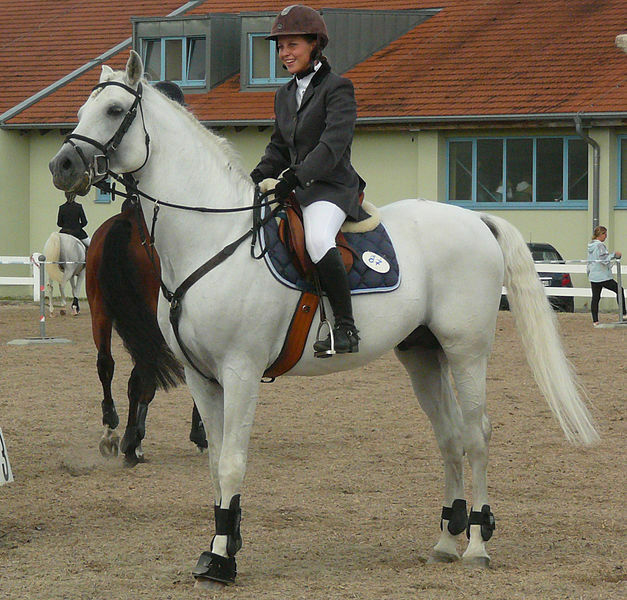 The World Arabian Horse Organization also accepted the International Shagya-Araber Gesellschaft which supported the breeding and preservation of the Shagyas . To be a part of this breed they had to have registration with the ISG member registry. The ISG has also set certain rules and regulations for the breeding of the Shagya Horses, enlisted in the guidelines of the RZBO (General Studbook Regulation Framework). According to the RZBO, the Arabian mares (purebred) and the stallions can get approval for breeding after going through the inspection procedure. However, after obtaining approval, the Arabian horses do not get renamed as Shagyas, but their foals may become a part of this breed after registration and meeting the necessary requirements. The Shagya is required to be elegant and beautiful with a proper rhythm, pleasant temperament, eager to learn, robust health and immense stamina. At present, the Shagya Arabian horses are seen in various countries including Romania, Austria, Czech Republic, Germany, Poland, and Hungary. 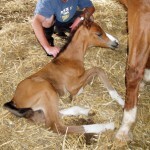 This equine breed has even been exported to several other nations with its breeding extensively carried out worldwide. It began to be officially bred in America in 1986, with the formation of the NASS (North American Shagya-Arabian Society). The foundation stallion was Hungarian Bravo whose parents were Pilot (born in Poland at the Janow-Podalski stud in 1939) and 52 Gazall II (born in Hungary at the Balbona stud in 1937). Both these horses were imported to America in the year 1947. 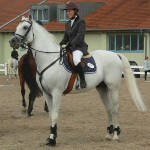 A Shagya Arabian gelding that was bred at Babolna had emerged victorious in the FEI Endurance World Championship of 2006. 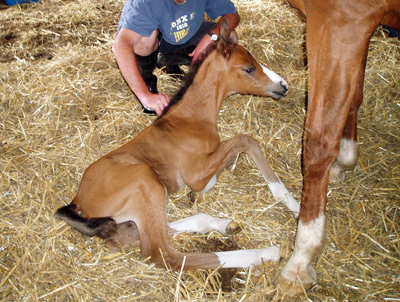 The Hungarian Bravo started producing at the age of 24, having three sons and eleven daughters all of which were a part of the Shagya’s breeding process.